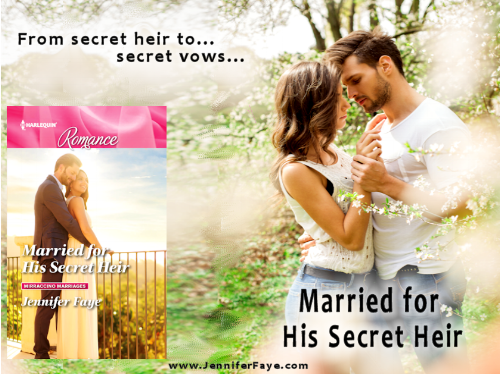 Did you get your copy of MARRIED FOR HIS SECRET HEIR? Elena moved to retrieve her purse and turned back to say something when his lips landed on hers. That wasn’t supposed to happen. Her heart jumped into her throat. So why wasn’t Luca pulling away? Why wasn’t she? Maybe if she had held still just a moment longer, his kiss would have landed on her cheek. Yeah, that was probably it. But now that they were in this awkward situation, neither moved. Could he hear the pounding of her heart? Over the years, she’d wondered what it’d be like to feel Luca’s mouth pressed to hers. But she’d never, ever thought that it would actually happen. And then his lips moved over hers, tentatively and slowly, as though figuring out where they went from here. Her pulse raced, and any rational thoughts slipped out of reach. At last, her dream was coming true. Her purse slipped from her hand as she reached out to him. Her fingers slid beneath his gray sports jacket to the black T-shirt beneath. As her palms slid over the defined contours of his chest, a moan swelled in the back of her throat. Oh, yeah... This kiss—this moment—was so much better than she’d ever imagined. She definitely approved of this change in Luca. His arms wrapped around her, pulling her close. Need, wonderment and eagerness consumed her. The rush of emotions was more intoxicating than the bubbly they’d just shared. As their kiss intensified, his tongue slipped past her compliant lips. She leaned in closer, pressing the length of her body against his. If this was a dream, she didn’t want to wake up. A whistle followed by applause from the stage crew had her reluctantly pulling away. She wasn’t sure what she expected to find when she gazed into Luca’s face. Perhaps disappointment or regret, but instead he was smiling at her. It was one of those smiles that made his eyes twinkle. “Are you ready to go?” Luca whispered into her ear, sending goose bumps racing down over her body. It was already special. That kiss had been so unexpected and so much better than she’d ever imagined. This was a different side of Luca, and she liked it—she liked him—a lot. After retrieving her purse from the floor, she slipped her hand into his and they rushed out the door. She refused to second-guess this decision. It was her one chance to be something so much more than Luca’s friend. At last, he’d seen her as a desirable woman. Royal weddings in the Mediterranean…Siblings Annabelle and Luca DiSalvo have grown up in the gilded shadow of royalty. Now they’re breaking free of palace protocol to find their own happily-ever-after! 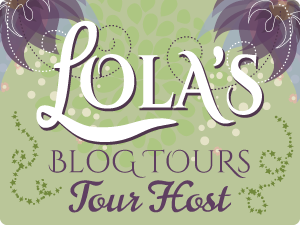 Lady Annabelle’s father doesn’t approve of her globetrotting ways. He thinks a job will teach her some responsibility, but it gets her tangled up with renowned tycoon Grayson! Earl Luca needs to settle down and produce an heir. An unexpected arrival from his past seems to be the answer, but the journey down the aisle is far from smooth!